What is a Minimum Viable Product (or MVP)? Every entrepreneur wants to release their product with a complete set of features and functions. They want to be able to solve the needs of their customers within the first product release. The reality is that in order to gain insight to your customer, you need to get your product into their hands so they can provide feedback. In this way, you have direct insight to their tastes, needs and wants. What is the absolute basic commodity that can be built in order to answer those needs? In short, the MVP is the absolute base model of an application or website, one which offers the fewest number of features to make it a viable entity in the marketplace. This model presents the very basics of your concept to which the customer can both interact and react. It is from this interaction you gain valuable insights to your customer’s wants and needs. The key to this process is gaining information. You will be able to craft the development of your idea to specifically reach the needs of your customer. Without this insight, you can very easily waste time, money, and effort building features that will take you down a rabbit-hole, which might offer a limited ROI. The MVP is an ongoing process that constantly redefines the concept, the customer, and the market. It starts with an idea to meet a need in the market. In order to understand the market needs you will need insight to your customers. To understand your customers, you must understand how the market is or is not facilitating their needs. As you learn more about each leg of the puzzle, you gain a greater insight to the whole process. It creates an upwards spiral that leads to a more sophisticated development of your original concept. Almost every product or service has passed through some form of the MVP process. Everyone in the marketplace, from entrepreneur to Google and Apple, have all explored this process. “The minimum viable product is that version of a new product which allows a team to collect the maximum amount of validated learning about customers with the least effort.”  Your goal as a entrepreneur is to develop your idea with the least cost and effort; reaching out to an audience to gain the most information about them; offering a product in the marketplace that customers will use and purchase with the absolute minimal number of features. Contact Colure’s Development Team to discuss a strategic approach to your concepts and dreams. Our team has developed numerous apps, some with 10 million+ downloads. 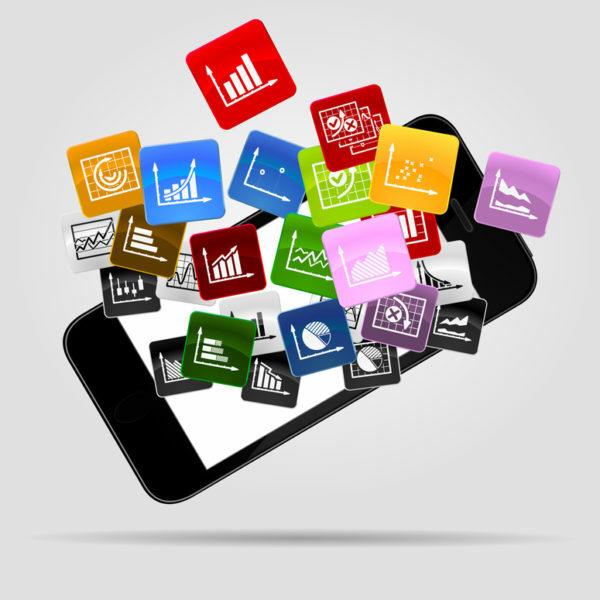 How should you approach the marketing of your newly designed mobile application? 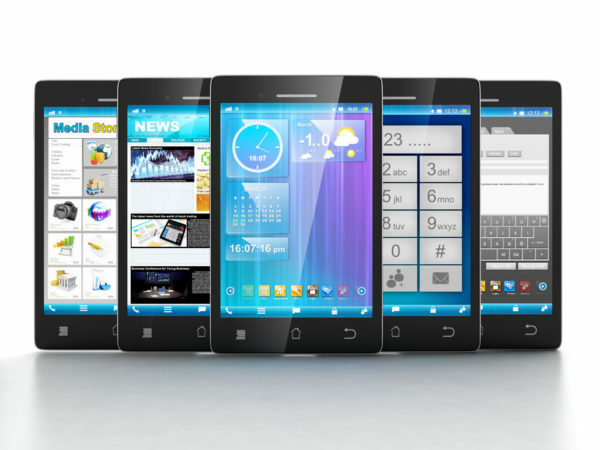 Competition within the mobile apps market has never been more fierce. Both Google Play and The Apple Store each offer over 1.3 million apps available for download. Each day, the competition grows tighter. The fight for market share grows tougher. At every turn, someone smarter, faster, and possessing a potentially better mouse trap releases a new application. Before you spend your limited resources on development, you need to know if you have a place in the market. Do your homework with a competitive market analysis. Find out if there is a viable market for your product. If so, use this exercise to define that market. You must know exactly who are your customers, the market, and your competition. Learn these things before you begin your development. If not, you are wasting your resources. Create an impressive demo video of your product or service. Utilize social media to maximize your message. Craft your message to reach a very specific audience. Be sure that you are marketing your ideas is a way that communicates to your customer base. You can’t just toss out an app and expect people to find it. Create media kits you’ll provide to industry icons who review and promote new applications. If you plan to release in one of the major application stores, be sure to research how to best make use of their resources. Find out how other competitors have marketed their products and learn from their experiences. Regardless of your strengths, you must first understand your own weaknesses. No matter how smart, how fast, or how rich you are, there is always someone faster, smarter, better and less expensive than yourself. That’s a reality of life. Position yourself to compete in the marketplace wisely. Learn from the mistakes of others. Grow from the guidance of those who have successfully completed the process. Be sure you understand that while you may feel your plan may be battle-ready, your competition will do everything they can, to destroy your market share. The failure to plan is planning to fail. Contact Colure to speak to our team about establishing a focused plan of attack for your mobile application. The age-old adage “ the customer is always right” still holds true. At the end of the day, if the customer is not happy, you’ve missed an opportunity for a successful business transaction. The difficulty comes from not defining a working relationship between your expertise and the customer’s expectations. The secret is communication. If we spend our time actively listening to the customer, the odds of everyone succeeding greatly increases. Our focus and presence of mind will allow the customer to feel safe in our hands. Without this confidence, the relationship is strained. Listening is a learned skill. It is a labor of love when an advertising team creates an abstract set of ideas for a potential client. That initial pitch is not just a set of concepts to sell a widget. That pitch is the net result of the ad team’s experience and knowledge. It is the collective wisdom of those advertising professionals. You are selling more than an idea, you are marketing your team’s creativity and reputation. 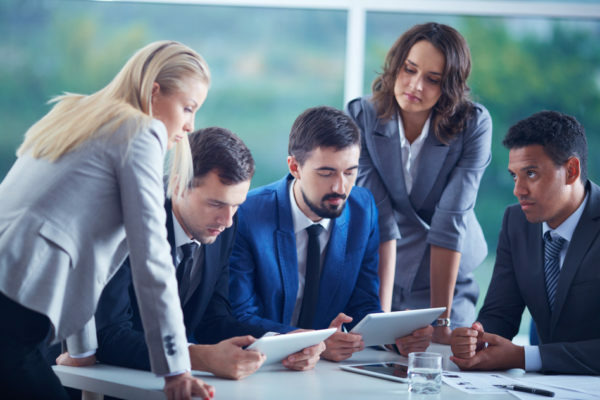 Never waste an appropriate opportunity for your team to share its expertise. In the same light, never negate the experience and wisdom of your customers. They know their business better than anyone else. Customers recognize when they are being paid the attention they deserve. If the customer senses their host’s distraction or unwillingness, effective communication can be damaged. It’s important for you, as advertisers and marketers, to provide quality guidance and service to your customers. In the end, this is why the customer contacted you, for your abilities and experience. ‘Giving the customer what they want’ begins with solid interactions. When the customer knows they are being listened to, they know their business is appreciated. Establishing clear communication leaves room for both the customer’s desires and your expertise. More importantly, it will lead to greater trust and success for everyone. Your relationship with your customer boils down to two words – ‘respect’ and ‘listen’. Allow us the opportunity to listen to your company’s marketing concerns, ambitions, and dreams. Contact Colure to speak with our team. 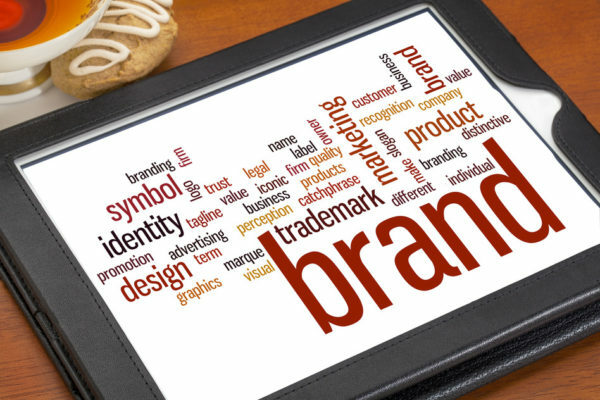 Branding for Small Businesses: Are you branding your business? Everyone works to present their clients in the best possible light. As marketers and advertisers, our industry fights to win over each and every possible customer. But that fight is often long and tiresome. It becomes easy to fall into a deep trap. Sometimes, marketers negate the entire process of communication because they become too worried about the tools they use, trying to communicate. In short, the mechanism of communication actually impedes the process of communicating with someone. It’s the age old problem of not seeing the forest for the trees. Keep It Simple Stupid (the K.I.S.S. Rule) – Keep your focus and get to the point. Avoid the temptation to create too many layers, providing too many details about the same thing. Stay on task; tell me a simple story. Businesses need to effectively communicate. Describe your product or service in less than 10 seconds – If you are not able to communicate the value of your service or product in that short amount of time, you may have lost your customer. Worse than that, you might have lost their repeat business. Some national sources place internet attention spans at less than 10 seconds. Poorly delivered content is worse than weak content – Let’s be honest, you won’t always have the opportunity to sell the biggest and best widget. Sometimes we work hard to sell something ordinary, something simple and plain. Regardless of what we are selling, you must be able to use both the medium and language of choice perfectly. There is no way a client will trust you with their advertising budget if you cannot create a properly structured sentence. If you ever have a question with your copy – ask someone for help. Learn to Listen – This is critical. Listen to a client’s ideas and concerns. Invest the time to discover which words they use to communicate. Keep in mind your audience’s mindset. Find out what is important to them – not you. Businesses are constantly trying to stand out from the crowd, to be seen as different. Be sure that you are not seen as being indifferent to your audience. Listen to what they are saying. Identify your client’s values – Don’t confuse your values for those of your client. At the end of the day, we are storytellers. Our one task is simple: “Tell me a story.” If you can’t do this clearly and simply, you may want to take a step back and take a breath. Listen to what is happening around you. Let us help you tell your story. Contact Colure’s storytellers.